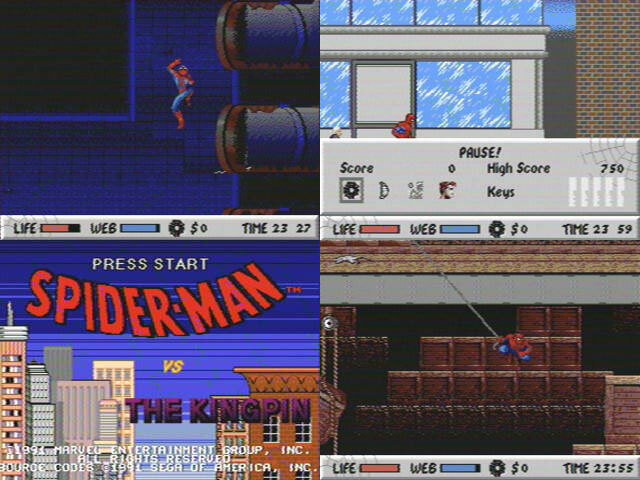 Spidey gets in many a tangle in this classic 16 Bit outing with a graphical look suited to the format and also to the comic look. Cityscapes make for a poignant background as Spiderman crawls along ceilings and utilises his web firing skills to take down the bad dudes. Subtitled Vs. The Kingpin.